Safari is the default browser for iOS devices. It keeps getting faster and better to use. It allows you to browse any web page, add bookmarks, view copied link and buy any goods or services. However, some people also encountered some problems when using the browser, such as iPhone safari not working, not connecting to Wi-Fi or responding. In this article, we are going to list out the common safari problem on iPhone/iPad and show the possible solutions. Safari won't connect to Wi-Fi or cellular data is one of the most frequently asked questions. The reason for this issue is large the Safari itself. You can try the following tips to fix the problem. Close all the tabs and quit the app. Then switch iPhone to Airplane Mode. Disable Airplane Mode after seconds and try to open the browser again. Go to Settings -> General -> Restrictions. Tap on "Allowed Content" and select "Websites". Switch on the "All" option to allow the access to any websites. Reset all network settings from "Settings -> General -> Reset" to put the network to the normal state. Then enter the password to join the internet again. Clear history and website data. Go to settings -> Safari and then tap on "Clear History and Website Data". You should also try to restart iPhone when Safari keeps crashing or freezing. Restore iPhone or iPad from recovery mode. Recovery mode restore is a useful way to fix many iPhone issues, you should also have a try when the app unresponsive. Instead putting iPhone into recovery mode manually, there's also a free tool called Tenorshare ReiBoot, which is designed to get iPhone into or out of recovery mode with one click. You can download the program and install it on computer. Run the software and connect iPhone to computer, click "Enter Recovery Mode" once the device is detected. 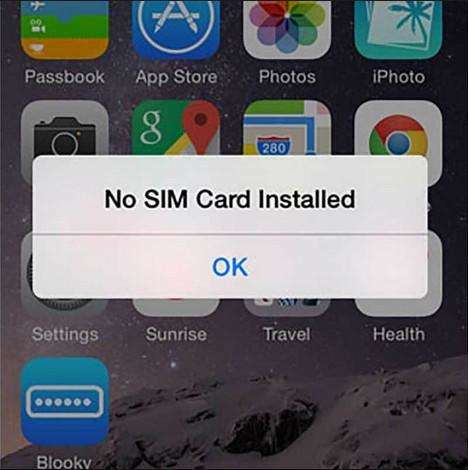 After seconds, click "Exit Recovery Mode" to get iPhone back to normal state. Clear cookies from safari browser. Go to settings -> Safari and then tap on "Clear History and Website Data" just like above. Restore safari browser. Go to Settings -> iCloud -> Safari to turn it off. Reboot your device and then turn it on. Then you can check if the Safari saves bookmarks. Reboot your iPad or iPhone. However, according to users' feedback, this methods only words for a short time. Update iPhone software. Go to Settings -> General -> Software Update to check if there's a new software update available. Go to Settings -> Safari -> AutoFill, make "Names and Passwords" option on. Disable private browsing mode. If the Safari is in private browsing mode, it won't fill in your information automatically. Tap the button at the top right and then you'll find "Private" from Safari, tap it to disable. Enable shortcut. Got to Settings -> General -> Keyboards -> Shortcut to enable this feature. Some iPad users reported that they've also encountered Safari keeps reloading pages issue. This problem can be related to the RAM. Most web pages are downloaded from the internet and store in the device RAM. When the RAM is filled up, you may not be able to open new pages. Read the guide to learn how to clean RAM on iPhone in easy methods. Search Safari Browser on iPhone. On the search bar, type Safari and it will show up. If the above method failed, reset your home screen. Go to Settings -> General -> Reset -> Reset Home Screen Layout. Disable Safari restrictions. Open Settings -> General, then tap on Restrictions and enter the restriction passcode. On the restriction screen, locate Safari and turn on the icon on. Repair iOS system. If you are still facing this issue after trying the above tricks, there might be some software glitches. With ReiBoot, you can fix any app errors and problems by repairing the operating system. No data loss or damage will be caused during the process. Connect iPhone to computer and choose "Fix All iOS Stuck" from the main interface of the program. Click "Fix Now" and then you'll be guide to download the firmware package. Click "Download" to start the process. Once the firmware is downloaded successfully, click "Start Repair" and follow the instructions to repair operating system. When browsing website, the most annoying thing must be the pop up ads and unrelated information. Actually iPhone has its built-in Pop-up blocker; you can enable the feature to stop this problem from happening again. Go to settings -> Safari and then tap on "Block Pop-ups. Turn off Safari in iCloud via Settings -> iCloud -> Safari. Block cookies via Settings -> Safari -> Block Cookies. Reset all settings from General -> Settings -> Reset All Settings. This article has gathered all the frequently occurred iPhone Safari problems and showed you the possible solutions. Hope you can have a fluent Safari browsing experience on your iPhone and iPad after reading this post.